Babies cry – a lot! And we do pretty much everything we can to get them to stop. Rocking, shushing, patting, singing, white noise, dummies – ANYTHING that will get them to just stop crying. Because we hate the thought of our innocent little baby being upset. We hate not knowing why they’re crying. We can get flustered, stressed, irritated & frustrated. And then feel like a failure of a mum. You’ve probably thought of all of these at some point! But what if there is a different way of viewing why babies cry? And what if there’s a different way to respond? Check out this week’s video to find out a different way of viewing & responding to babies. 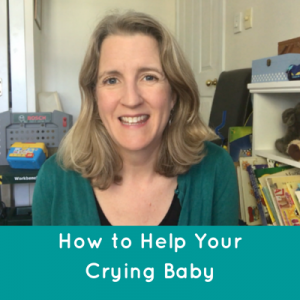 Discover a way that does not involve leaving your baby to cry on their own, or requires you to just accept constant wakings & be exhausted all the time. 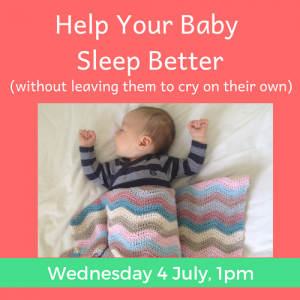 Learn how to help your baby sleep better whilst remaining securely attached to you. CLICK HERE to find out more & to register your spot. PLUS – doors to my online babies course which I created with the fabulous Marion Rose are about to open. This is THE course to understand your baby & learn how to best respond to them in a loving, respectful & effective way.